That's right!. . Wallpaper and background images in the Feminism club tagged: feminist feminism funny cartoons. This Feminism photo might contain ڈاؤن لوڈ ہونے والے, مزاحیہ کتاب, منگا, کارٹون, ہالی ووڈ, and کامک بُک. This is a simple mistake. 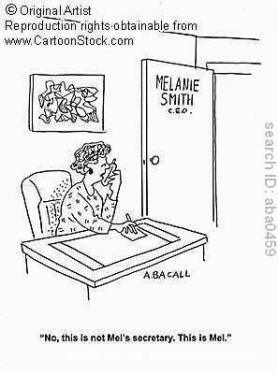 When a call for a company is answered, few people expect to hear the owner right away. It is very understandable to believe that the person you speak with first is a secretary or call-taker, be it male or female.